A member of the famous Barrymore entertainment family, she rose to prominence during the 1940s for her starring roles in films such as Eagle Squadron, Nightmare, and Between Us Girls. In her late teens, after training at the American Academy of Dramatic Arts, she appeared in a Broadway production and was soon cast in her first film. Tragically, she died in her late thirties after overdosing on sleeping pills and alcohol. The daughter of poet and playwright Blanche Oelrichs and stage and screen actor John Barrymore, she spent her youth in New York and Paris. 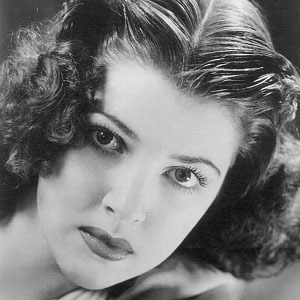 Her marriages to actor Bramwell Fletcher and athlete John Howard both ended in divorce; her third marriage, to actor Robert Wilcox, ended with Wilcox's sudden death in 1955. Her ghost-written autobiography Too Much, Too Soon was adapted into a film starring Dorothy Malone.